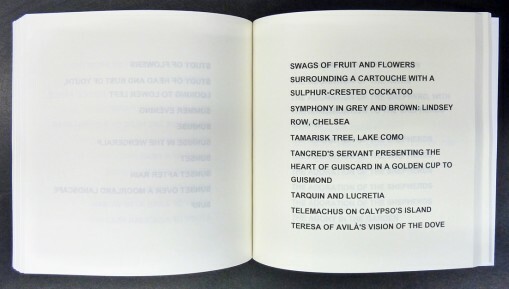 There have been some fantastic artists' books published this year and Sarah Bodman at UWE Bristol's Centre for Fine Print Research has read most of them. Here she picks ten of her favourites. Angie Waller’s Love Unknown series uses personal ads from the Internet as source material, catalogues them through a computer programme and reconfigures them into romance-based, freeform narratives. Available as Kindle or printed editions – 13 made to date, all with fabulous titles – each book plays out in a different American city (this one is Honolulu, Hawaii), using text from regional adverts. The text is presented as ongoing chapters full of romantic yearning, so in some ways it can be seen as a continuous possibility. 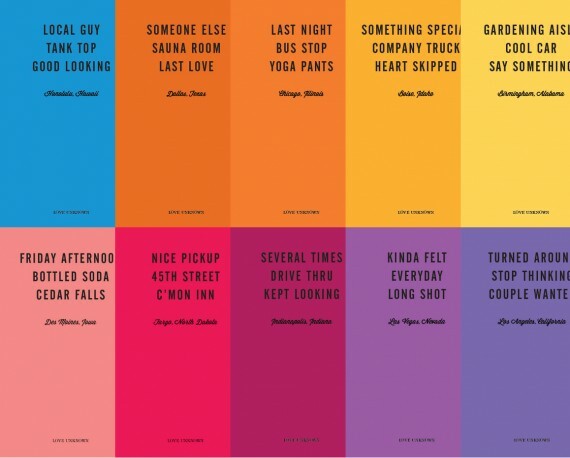 As each book is particular to the city that the texts have been taken from, you can imagine the people in local bars, car parks, supermarkets, always hopeful: “Hi to the handsome man in the canned tomato aisle.” Lovely books, in a rainbow of colourways, beautifully presented in slim, letterpress printed covers. 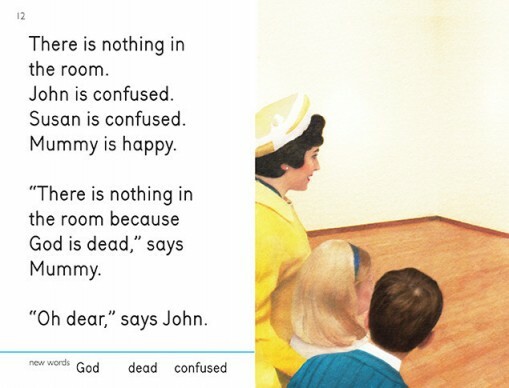 One of the best birthday presents I have ever received and a hilarious (and now notorious – thanks to Penguin Books) take on the Peter and Jane Ladybird books I loved as a kid. A visit to the gallery with mummy completely destroys a small boy and girl’s worldview and leaves them both traumatised, unhappy, confused and ‘educated’. I particularly love the new words to learn on each page, for example: Crucifixes Dead Babies. This is such a well thought out book, nostalgic and anarchic; Miriam Elia has a wonderful way with words. It made me laugh out loud, and passing it round the office it was similarly received. 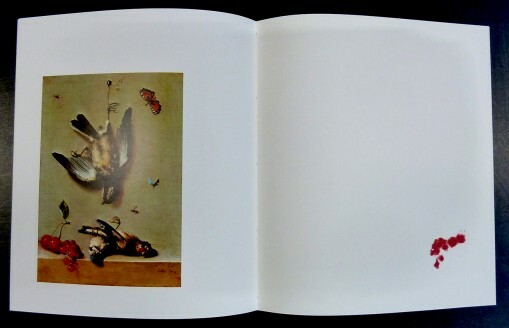 Originally created as an artist’s edition, this year saw the publication of a commercially available version priced £8.99. I have bought extra copies for Christmas presents and if you loved the original Peter and Jane series – and have a warped sense of humour – then I urge you to do the same. More Dung Beetle reading scheme publications, please. The latest publication from Sarah Nicholls Brain Washing from Phone Towers series is Milky Seas. It is such a beautiful book, based on Darwin’s recording of a phenomenon at sea, where bioluminescent bacteria living on sea creatures (dead or alive) can give a milky illumination to the water at night. It reminds me of Dorothy Cross’s wonderful Ghost Ship print published by Stoney Road Press, only with a very different (and potentially scary) message. I followed the instructions for Milky Seas: reading it in daylight, then shone a torch on it, then read it again… and watched it come alive. Nicholls refers to the books in this series as ‘informational pamphlets’, but they are so much more. They are so affordable for the quality of work, so why not treat yourself to a subscription and enjoy the whole set? Who wouldn’t want a glow in the dark, scientific artist’s book for Christmas? I bought this book earlier in the year and it seems even more applicable now – a letterpress printed ‘contemporary reimagining of 17th century political pamphlets, calling for a people-led written constitution for the UK’. 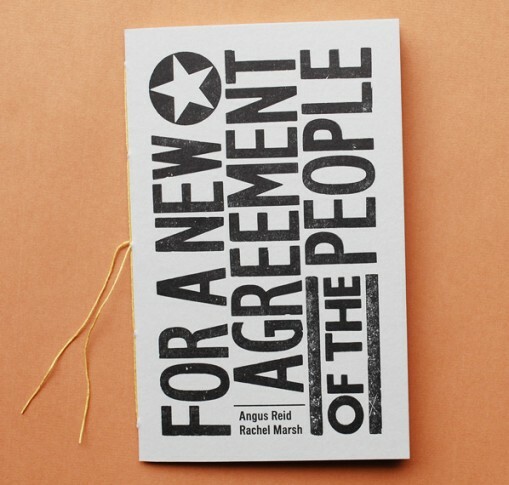 It’s a very classy version of a political paper, presented as a handmade pamphlet book with a poem and explanatory text by Angus Reid, and designed and printed by Rachel Marsh aka Semple Press. Marsh is an accomplished designer and letterpress printer, so the book features delicious type layouts, printed in wood and metal type. 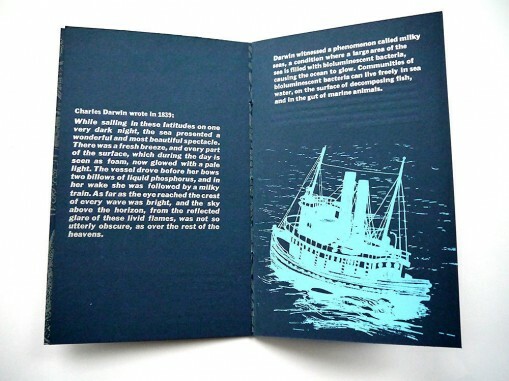 It’s a pertinent example of the artist’s book as a democratic multiple, and if you enjoy this, do also check out Marsh’s Œ Adventures, which must be the only example of a letterpress printed artist’s book that includes a reference to Game of Thrones. This book was made for the artist group AMBruno’s Red project that launched during the International Contemporary Artists Book Fair at the Tetley, Leeds in March 2015. Fifteen new artists’ books on the theme of ‘red’ were published and this one by Sophie Loss is perfect. It’s based on Jean-Baptiste Oudry’s 1712 still-life painting, Dead Birds with Cherries (although to be as precise as Loss is, those are cherries and redcurrants), from the collection of the Musée des Beaux-Arts, Agen, France. It captures the essence of the experience of looking at the tableau, of the historical nature/message of still-life painting; it shows us death yet brings us instantly into the present through linking the illusory to the real. It’s about the opening and closing of a book’s pages, and one of the most elegant and sublime artists’ books I have seen in a long time. A new edition in tribute to 1930-1940s American B movies’ use of spiritualism, séances and mediums to explore paranormal activity; Stephen Fowler made this one-off book for an exhibition in 2012, and I have been longing for a copy ever since. Fowler’s practice explores religious iconography, folklore, collections, superstition and ritual. He works with low-fi printmaking techniques, and specialises in intricately-cut rubber stamp prints and artists’ books. Fowler evokes a sense of otherness through careful arrangements and overlay of seemingly disparate figures/objects into narrative imagery. 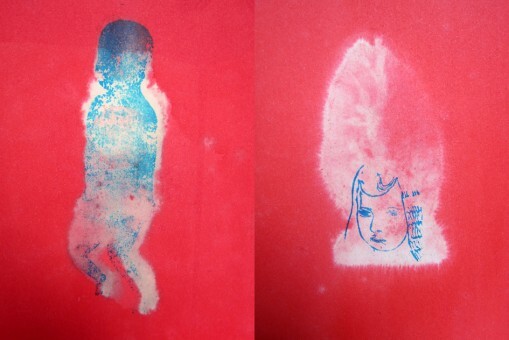 Now handmade in an edition of 20, Cosmic Forces using antique red ink for the blood-red pages and is printed with bleach to create the white auras behind the rubber-stamped figures. The apparitions hover on the pages in white, spectral wisps, looking outside the page as if observing something beyond you. It’s a unique tribute to the tricks of paranormal movies from a unique artist. One of a collection of eight artists’ books printed over two summer residencies at Helen Douglas’s weproductions studio at Deuchar Mill in Yarrow, Scotland. Each of the books incorporates hand-set metal type, printed on vintage paper stock on the Vandercook No.4 press at the mill. Some contain physical evidence of the summer residency such as pressed flowers, but this one is a response to clearing the pond. This pond is a place that Douglas has studied closely within her own books. In 2011, Douglas’s 14-metre scroll book, The Pond at Deuchar, surveyed the site through the seasons’ wildlife, insects and flora. 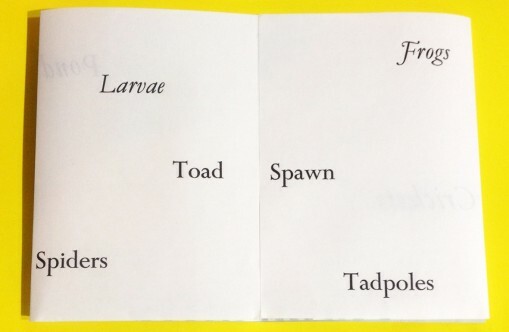 This was later published by Tate (2013) as an e-book to be scrolled through on a tablet, with a text by Clive Phillpot identifying the inhabitants of the pond. In summer 2015, Butler was helping to clear the pond, and in doing so recalled Phillpot’s list on the e-scroll. This Place is as elegantly printed as the delicate insects that skim the pond’s surface and, if you open the pages out fully, the transparent papers reveal the flight pattern of a damselfly across their surface. 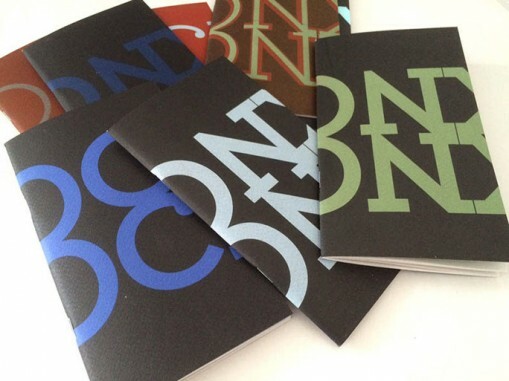 What’s this – a book of concrete poetry-based ‘Knock Knock’ jokes? 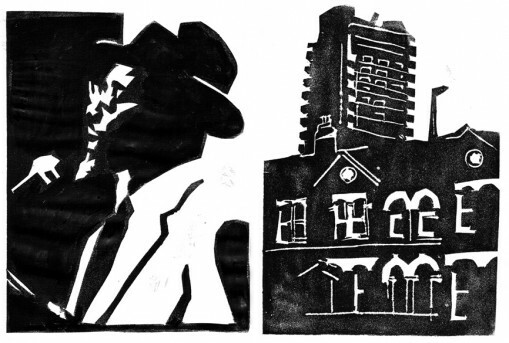 Barrie Tullett is well known for his excellent typographical design works for artists’ books, posters and prints, as well as for his love of typewriters – he is the author of Typewriter Art: A Modern Anthology published by Laurence King. But, as publisher’s The Caseroom Press themselves declare, “We can’t help but feel that as a fan of esoteric, niche markets, Barrie has outdone himself.” It’s great fun, with Knock Knocks in tribute to experimental artists, musicians and writers including Ian Hamilton Finlay, ee cummings, Dieter Roth and Philip Glass. One example: “hand door bang” “Who’s there?” “Dom Sylvester Houédard”. There are two versions; a saddle-stitched book with 12 jokes and a perfect bound extended cut with 16 jokes. The covers are Risograph printed in a random mixture of red, black and green on different coloured stock.